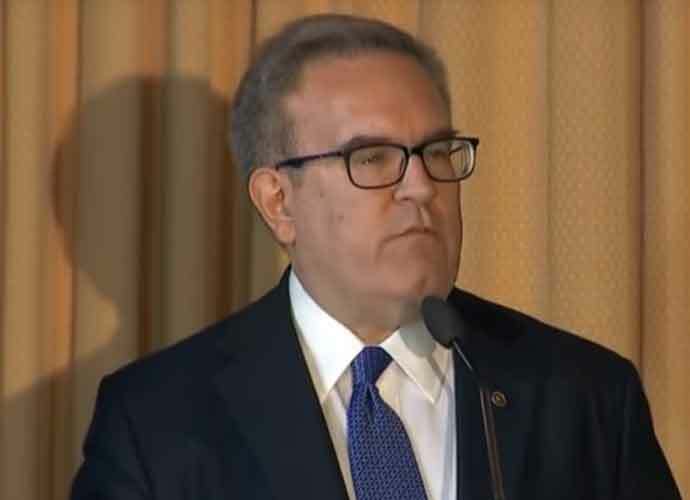 Acting EPA administrator Andrew Wheeler signed off on a bill that would allow them not to regulate two toxic chemicals found in drinking water. Exposure to both chemicals, PFOA and PFOS, increases one’s risk for various cancers and hypertension, among other illnesses. Both chemicals have been used in products for decades, including military firefighting foam and Teflon. Congress, including many congressional Republicans, are concerned with the Trump administration’s lax regulating protocols. Sen. Shelley Moore Capito (R-W.V.) has voiced her concern for the substances potentially going unchecked. “I’m concerned about what he thinks the reasoning is for how we’re going to get to a safer water standard if that’s not the direction they go. I think I need a fuller explanation from him,” she said. On Tuesday, Capito had a telephone call with Wheeler to discuss the issue. “The agency is committed to following the Safe Drinking Water Act process for evaluating new drinking water standards, which is just one of the many components of the draft plan that is currently undergoing interagency review,” Ross said in his statement. Nevertheless, he did not refute any of the details found in Politco’s report.